Every day, five million people travel through New York City’s subway and commuter rail stations managed by the Metropolitan Transportation Authority (MTA). As the passengers navigate the network of trains and tunnels, they have the opportunity to experience one of the world’s foremost public art collections. 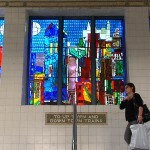 From Roy Lichtenstein’s Times Square Mural (42nd St) and Sol LeWitt’s Whirls and Twirls (Columbus Circle) to Jean Shin’s Celadon Remnants (LIRR Broadway Station) and Ellen Harvey’s The Home of the Stars (Yankee Stadium), each site-specific artwork adheres to the individual station’s architectural legacy while capturing the dynamics of the destination. 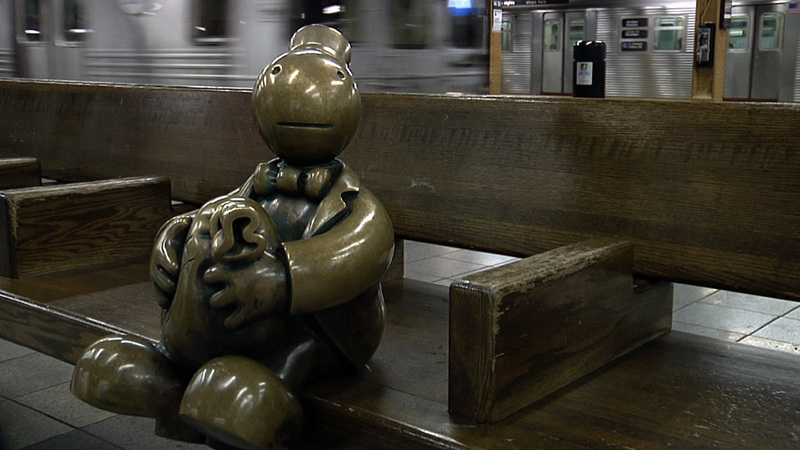 Treasures of New York goes behind-the-scenes to explore the genesis and realization of MTA Arts for Transit program, a captivating chapter in the city’s history. 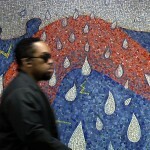 Hosted by Paula Zahn, Art Underground premieres Wednesday, June 27, 2012 at 7 p.m. (ET) on WLIW21 and Thursday, July 5, 2012 at 8:30 p.m. (ET) on THIRTEEN. 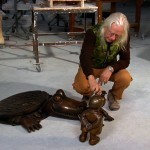 After broadcast, the film will be available to national audiences at thirteen.org/treasures-of-ny. The website offers past episodes and conversations with visionaries behind New York’s greatest institutions. Although the New York City subway had originally been conceived as a great public work, by the 1970s, neglect and decay had transformed it into a shadow of its former self. In an effort to reclaim the rundown public transportation system in the 1980s, the MTA launched a capital campaign to rehabilitate the entire network. 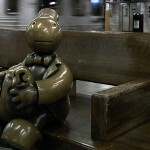 The massive effort unprecedentedly designated a percentage of its funds for public art in the stations. 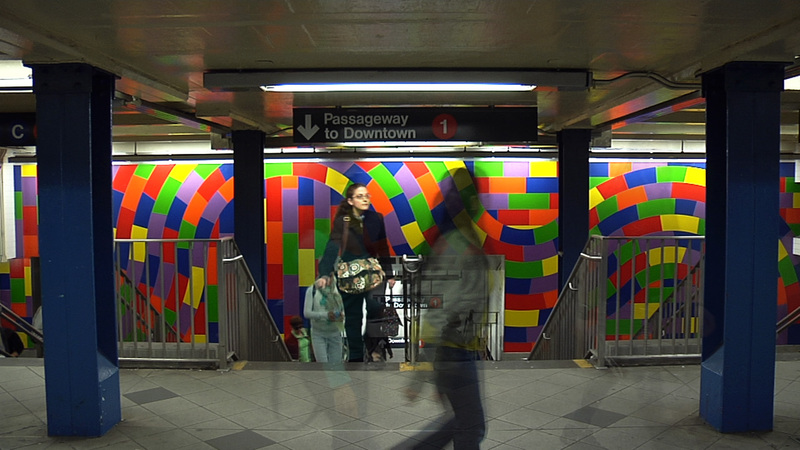 Since 1985, the MTA Arts for Transit program has commissioned hundreds of artists to contribute to the renewal of New York’s historic mass transit system. Over the course of 25 years, the groundbreaking program has amassed an enviable collection from both established and emerging artists. 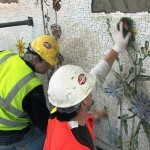 Most pieces are in mosaic, bronze, steel and glass – echoing the station’s traditional building materials. The resulting body of work redefines the interactivity of urban spaces and elevates the role of public art for its intended communities. 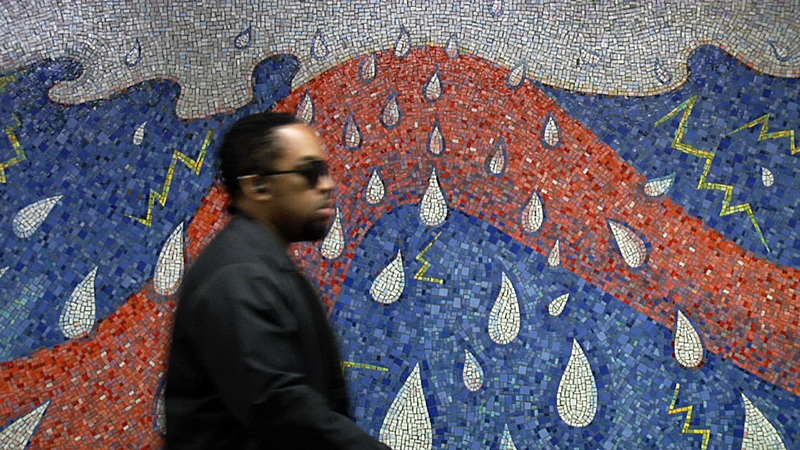 For the first time on film, Treasures speaks to current and past Directors of MTA Arts for Transit, Sandra Bloodworth and Wendy Feuer, respectively, to examine the competitive artist selection process involving arts professionals, community representatives, engineers and architects. 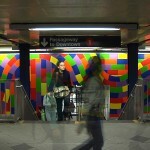 It is important to the MTA to allow the themes and content open for artistic interpretation. Often times, elements of nature and local history serve as inspiration. 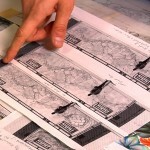 The film reveals the arduous task of translating artworks in unique urban environments, ranging from sculptural to translucent. Art Underground features permanent subway masterpieces including Milton Glaser’s geometric porcelain panels (Astor Place), Faith Ringgold’s mosaic mural, Flying Home Harlem Heroes and Heroines (125th St), Tom Otterness’s whimsical bronze characters (14th St), and Bill Brand’s spectacular subway tunnel zoetrope, which was recently restored (Manhattan-bound B or Q train from DeKalb). 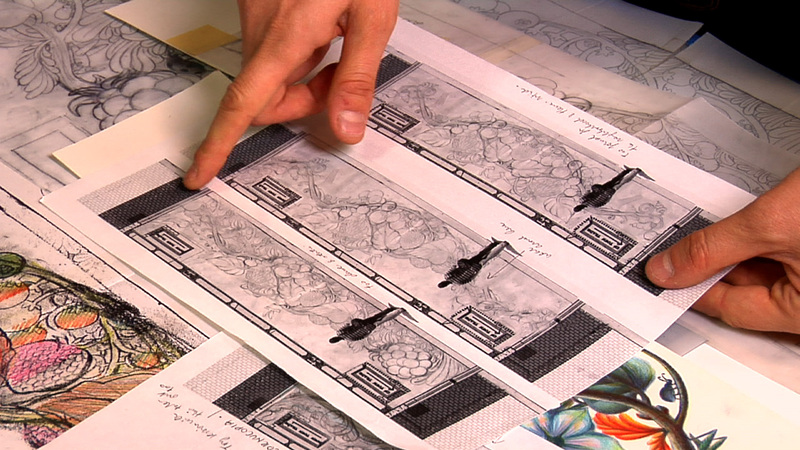 Viewers will witness Jason Middlebrook’s monumental flowering plants mosaic (Ave U) from start to finish. 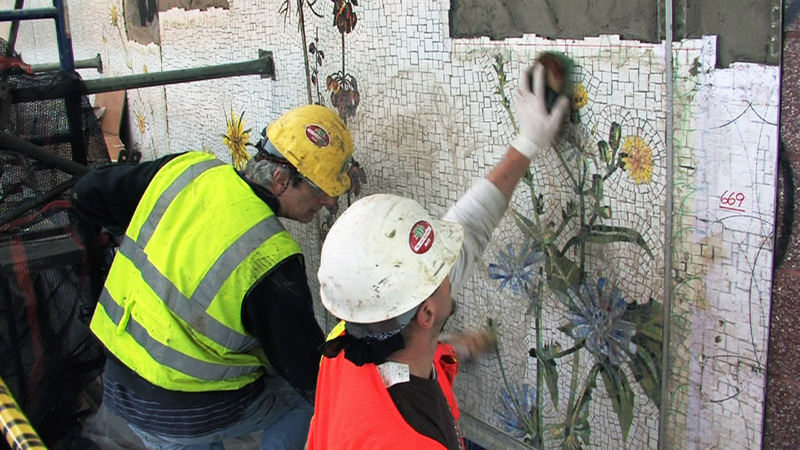 This collaboration, with mosaicist Stephen Miotto, references native plants growing in the crevices of the city’s concrete jungle. The project’s materials are imported from Italy and assembled with centuries-old craftsmanship. 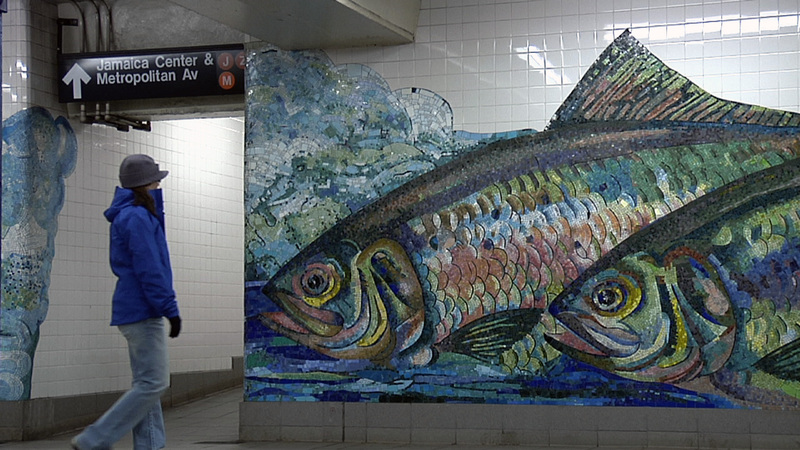 A special highlight of the documentary takes a look at the processes involved in creating Xin Song’s layered glass collage (Bay Parkway) and Andrea Dezsö’s laser-cut stainless steel panels (62nd St – New Utrecht Ave), both recently installed. 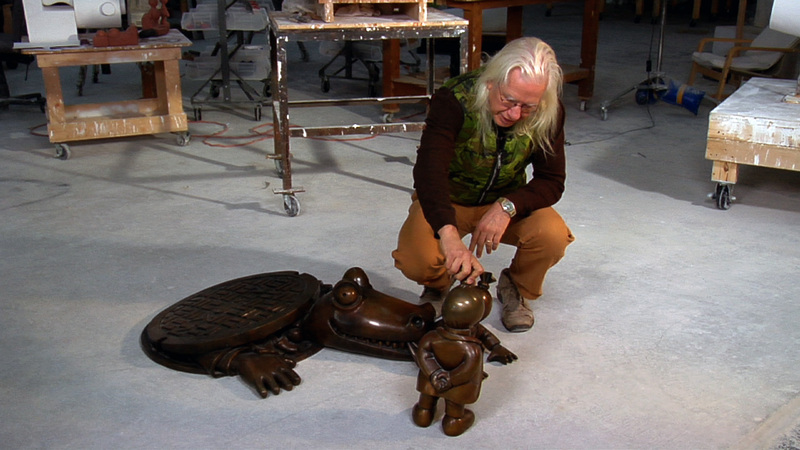 Treasures of New York: Art Underground is a production of THIRTEEN for WLIW21 in association with WNET, the parent company of THIRTEEN and WLIW21, New York’s public television stations and operator of NJTV. For nearly 50 years, WNET has been producing and broadcasting national and local documentaries and other programs for the New York community. The film is produced and edited by Kevin Alexander. The program’s Executive Producers are David Horn and Diane Masciale. Associate Producer is Ally Gimbel. Executive-in-Charge of Production is John Servidio. Major support for Treasures of New York: Art Underground is provided by Rosalind P. Walter, The Paul & Irma Milstein Foundation, Elise Jaffe and Jeffrey Brown, Jody and John Arnhold, The Lemberg Foundation, The Cheryl and Philip Milstein Family, and The New York City Department of Cultural Affairs. New York’s WNET is America’s flagship public media outlet, bringing quality arts, education and public affairs programming to over 5 million viewers each week. The parent company of public television stations THIRTEEN and WLIW21 and operator of NJTV, WNET produces and presents such acclaimed PBS series as Nature, Great Performances, American Masters, Need to Know, Charlie Rose, Tavis Smiley and a range of documentaries, children’s programs, and local news and cultural offerings available on air and online. Pioneers in educational programming, WNET has created such groundbreaking series as Get the Math, Oh Noah! and Cyberchase and provides tools for educators that bring compelling content to life in the classroom and at home. WNET highlights the tri-state’s unique culture and diverse communities through NYC-ARTS, Reel 13, NJ Today and the new online newsmagazine MetroFocus. Jason Middlebrook, Brooklyn Seeds (2011) Avenue U Station, Q subway train A mosaic installation of monumentally-scaled wildflowers climbing up the station’s stair wall. 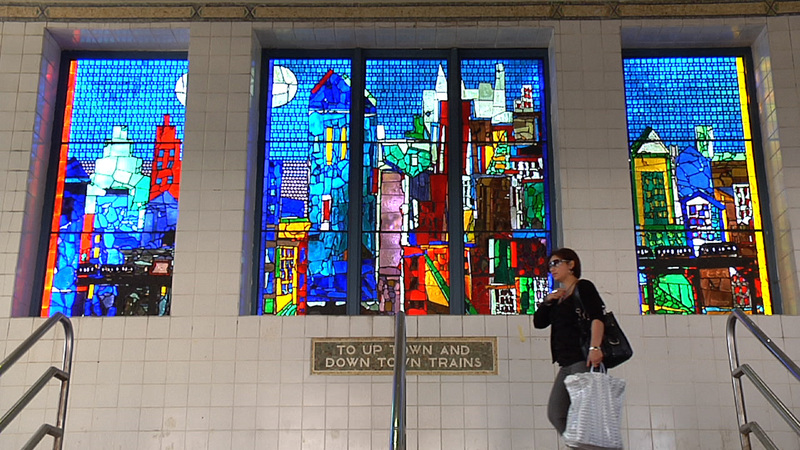 Romare Bearden’s, City of Glass (1993) Westchester Square-East Tremont Avenue, 6 subway train A faceted glass triptych over the station’s stairway. 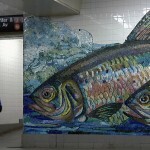 Ming Fay, Shad Crossing, Delancey Orchard (2004) Delancey Street-Essex Street, F subway train A glass mosaic on station platform and mezzanine walls. 23rd Street-Ely Avenue/Long Island City-Court Square, E, V, G subway trains Glass mosaic on walls in passageway connecting the E, V to the G.
Tom Otterness, Life Underground (2001) 14th Street/Eight Avenue, A, C, E, L trains Bronze sculpture on railings, beams, and columns throughout station.